A lifelong Democrat, in 2001 Michael Bloomberg found the party too packed with career politicians to give him any shot at becoming New York City mayor. He ran as a Republican instead, and won. He stayed put for the next few years, raising money for the GOP's 2004 convention in New York City and contributing to the campaigns of President George W. Bush and other Republican candidates. 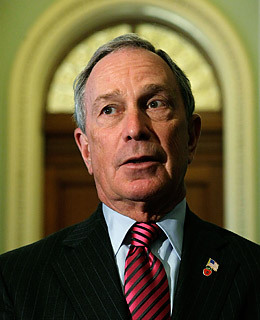 In 2007, however  in what was widely viewed as a prelude to a presidential run  Bloomberg bolted, dismissing the political-party system as a "swamp of dysfunction" and registering as an independent. But old habits die hard: for the 2009 mayoral election, Bloomberg is running on both the independent and Republican tickets.